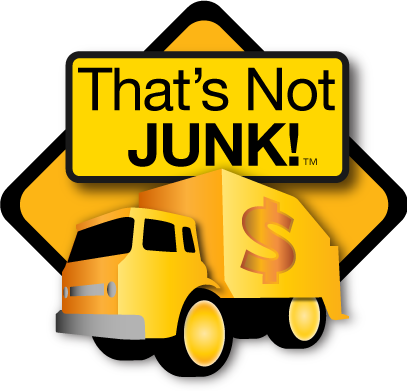 Have you ever seen something get thrown away and said to yourself, "THAT'S NOT JUNK!" For what ever reason goods that have significant value are still discarded as junk. We specialize in residential and commercial clean outs, internet estate sales, and consignment sales. Let us help you turn your TRASH into CASH! Don't let your items that can be REUSED, RESOLD or RECYCLED be added to a landfill in your backyard. Don't throw it away! Call us, we'll come as soon as possible! 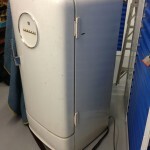 This fully working un-restored antique Crosley Shelvador refrigerator is 24 1/2″ wide, 25″ deep, 55″ high. 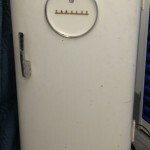 It is one of the first Crosley refrigerators with shelves on the door and a butter keeper. It also has a full-width freezer compartment. 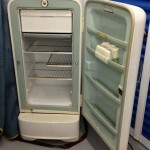 Vintage Crosley refrigerators are the perfect fit for an antique kitchen or garage makeover!